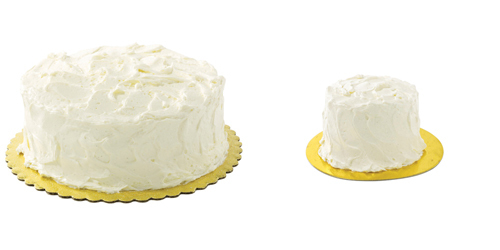 ljcfyi: Wegman's Ultimate White Cake! I just tried the new Wegman's Ultimate White Cake. If you think they couldn't top the Ultimate Chocolate Cake, think again. I got a little one (I love the wee size) and it tastes like WEDDING CAKE! I love wedding cake. If I was getting married again I would seriously consider getting a Wegmam's Ultimate White Cake for my wedding cake and I'm not even kidding. By the way @Wegmans is now on Twitter. You can tell them how much you love their cake. btw - Wegmans did the catering for our wedding. I'm sure you could trust them for your anniversary cake. Our out-of-town guests raved about the food.